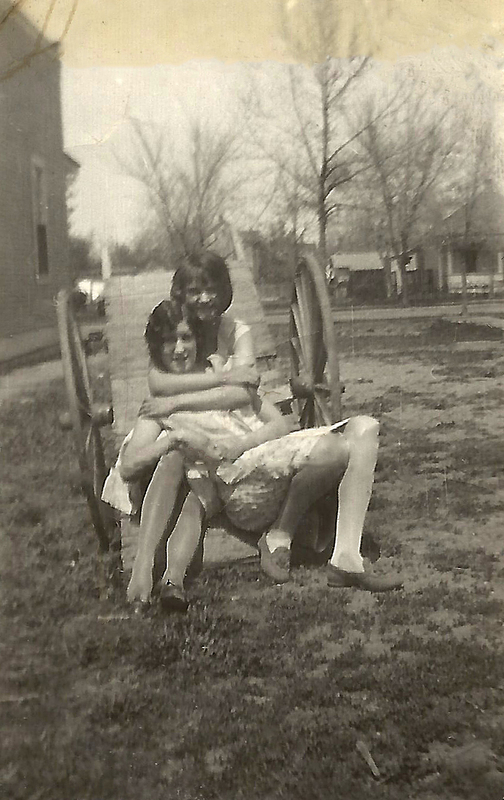 I love this photo of my great grandmother Estelle and her sister Hilan. You can tell they were very close. Hi was four years older than Estelle. They grew up in Montana in a large family. This photo was probably taken in the late 20s. I wish I could pop into the picture for a minute and have them tell me a few of their sister secrets. Maybe I could get Hi to teach me how to put those beautiful waves in my hair and we could all giggle together for a minute or two. Previous postTip: Get to know your local research facilities. What a beautiful photo of sisterly love and affection! This is just the most beautiful photo. I don’t have sisters so don’t know that bond, but I see it in photos of my own mother and her (many) sisters. A wonderful treasure and I’m so pleased you have it. Thank you. I really love it also. How many sisters does your mom have? Four; but two have died. She has one much older brother too, and she’s the fifth of six kids. She recently gave me a stash of photos of her and various sisters when they were kids/teenagers. It’s lovely to see the girls together, happy. My experience of them as adults is that they were often at war with one another and there were always shifting alliances. I was never sure at any one time which auntie we weren’t talking to! Oh boy! That is a lot of sisters. I have two lovely sisters. I imagine when you add several more there is quite a bit more potential for drama.